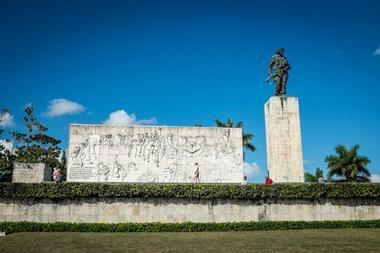 Cuba has a unique culture that is brimming with history. Visitors can also enjoy beautiful landscapes, many buildings with historical significance, and cultural aspects such as fine cigars and perfumes. Spanning 44,200 square miles, Cuba is filled with rolling farmland, rugged mountains, quaint little villages, urban metropolises, and white sand beaches. 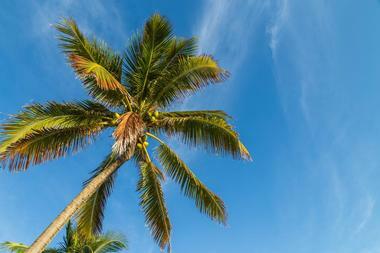 It is located just 90 miles off the coast of Key West, Florida. Please be aware of travel restrictions to Cuba for U.S. citizens. 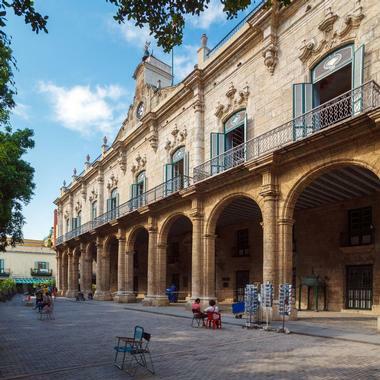 Old Havana was founded in 1519 and consists of urban plazas that are surrounded by buildings. There are narrow streets spread throughout the historic center and it represents an impressive historical area that tourists can enjoy exploring. 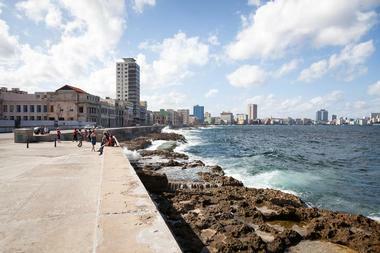 During the second half of the 16th century, Havana was the largest port in the region. 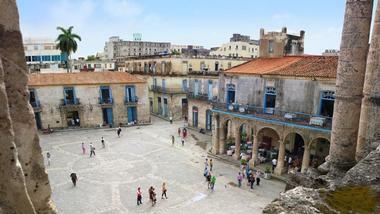 The most complete dockyard in the New World was developed in Havana during the 18th century. Pico Turquino National Park can be found in the Sierra Maestra along southeastern Cuba. Visitors will have a view of large mountains, clean creeks, and thick forests. The hikes to the summit are challenging, possibly some of the most challenging in Cuba. Hikers will pass several rural communities as well as beautiful terrain. 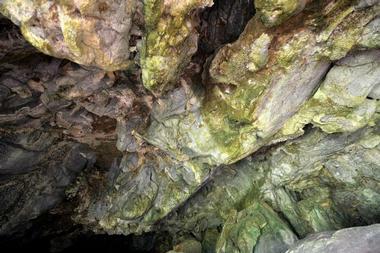 Guides are required for a portion of the hike and you may need to stay overnight. There are over 100 plant species in the area as well as some important plants and animals that are protected by the park. Established in 1974, the Varahicacos Ecological Reserve is three square km of protected land located on the northeastern end of the Hicacos Peninsula. Hikers will find short trails through the forests and can see the Patriarca, which is a giant cactus that is more than 500 years old. There is also a large cave filled with ancient pictographs (Cueva de Ambrosio). The area is known as a place to view flora and fauna up close. There is also aboriginal history there. 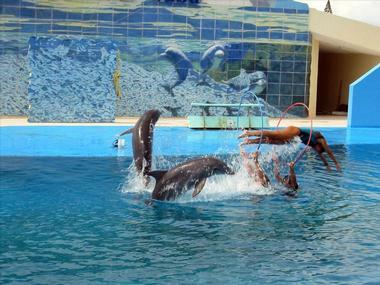 Acuario Nacional de Cuba, founded in 1960, is a scientific center that is used for both educational and recreational purposes. It also focuses on the preservation of marine coastal landscapes, with an emphasis on educating the public about the environment. Visitors can check out the aquarium’s specialty, saltwater fish, in addition to watching sea lions and dolphins. There are hourly dolphin shows on offer. Declared a World Heritage Biosphere Reserve in 1987, the name Baconao is based on a legend of a young native who lived in southern Cuba during the pre-Columbian period. There was once a magical tree called bacona, which allowed the child to play music from lagoon snails. 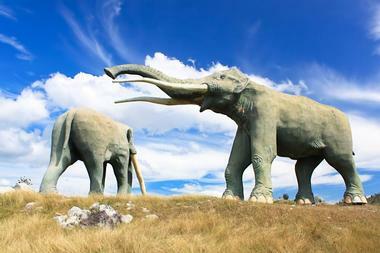 The park offers many different attractions, including the Great Rock, Prehistoric Valley, a botanical garden, an aquarium, Baconao Lagoon, and the Museum of History of Terrestrial Transport. 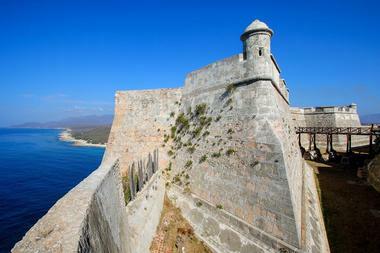 Castillo de la Real Fuerza is considered to be an engineering marvel. Construction of the building started in 1558 and ended in 1577. Sitting on the northeastern corner of the plaza, the structure was influenced by other buildings in Spain during the medieval period. Thick limestone makes up the walls and a drawbridge separates it from a moat. Today, the castle contains the Museo de Navegacion (Navigation Museum). The museum has model ships and a large collection of treasure from sunken ships. Castillo de San Pedro de la Roca was built to protect the port of Santiago and is the most complete and well-preserved piece of Spanish-American military architecture around. The castle is a stone fortress made up of multiple levels. 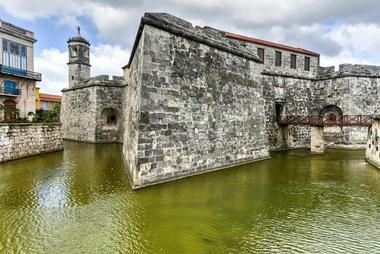 Sitting on the southeastern end of Cuba, San Pedro de la Roca Castle, as well as La Estrella, Santa Catalina, and Aguadores, protect the bay entrance and the port of San Diego de Cuba. 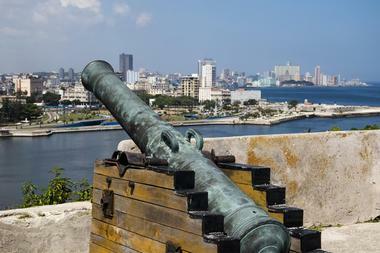 Located on one side of the mouth of the harbor, Castillo San Salvador de la Punta is one of two important defensive structures in Havana left over from colonial times. 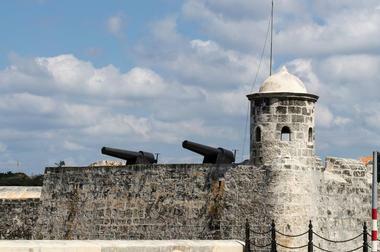 Built between 1590 and 1630, it is one of three fortresses that appear on Havana’s coat of arms. Commissioned by Captain General Juan de Texeda, it was designed by Giovanni Baptista Antonelli. For centuries, a 250-meter chain boom would be raised every night to deter marauders. Che Guevara commanded the group that managed to derail an armored train that was carrying 300 soldiers, heavy weapons, and ammunition during the final conflict of the Cuban Revolution.The boxcars are still in their derailed condition today. The bulldozer that was used to take up the train tracks is also still at the scene. The Guevara Memorial started construction in 1982 and was officially opened in 1988. There is a museum there that showcases Guevara’s life as well as his gun, medical certificates and other items, and a parade ground. 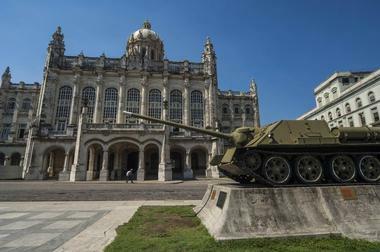 The mausoleum was added later after Guevara’s body was recovered from a mass grave in Bolivia. 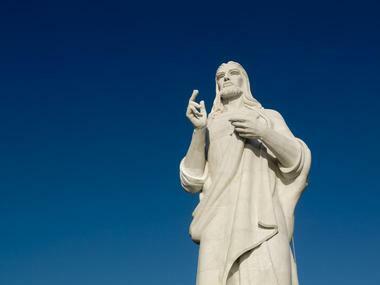 The Christ of Havana sits atop a hill that overlooks Havana’s bay. 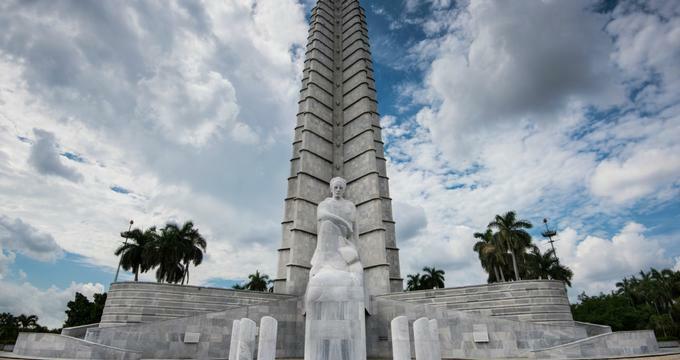 Cuban sculptor Jilma Madera made the sculpture during the 1950s, and it is carved from Carrara marble and sits approximately 66 feet high, weighing 320 tons. It took 67 blocks of marble to make the statue. It can be seen from many vantage points located throughout the city. The Colon Cemetery (Cementerio de Cristóbal Colón) was established in 1876. 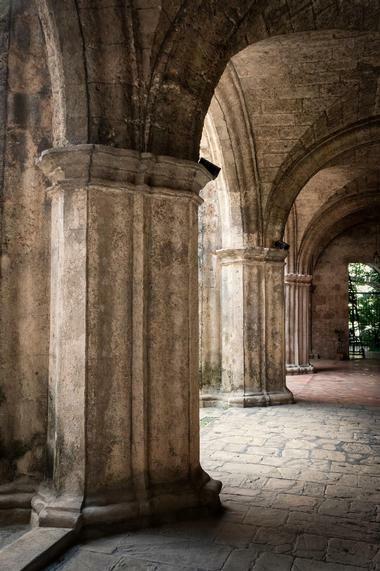 Designed by Calixto Arellano de Loira y Cardoso, it was named for Christopher Columbus. The cemetery spans150 acres and was built around a chapel. The cemetery is laid out like a grid and organizes those buried there according to their rank and social status. The wealthy, well-connected people are buried in the main areas, while the restare buried in the outlying sections. 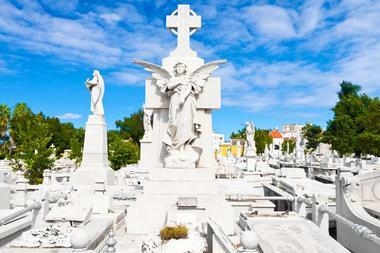 Architect Loira died before the cemetery was finished and was the first occupant to be buried there. Since space is limited and sought after, occupants are generally left there for a short period of 3years, after which the remains are boxed up and put into storage. 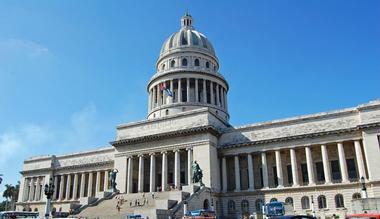 The National Capitol Building of Cuba is located in central Havana and is similar to the capitol in Washington D.C.; however, it is larger. Gerardo Machado began construction in 1926, which took 3years and employed 5,000 workers. It houses the Cuban Academy of Sciences and the Science and Technology Library. Constructed out of Capellania white limestone and granite, there is a bronze statue of a huge woman that weighs more than 30 tons. She is representative of the nation’s virtue and of hard work. Ernest Hemingway’s Cuban home lies 10 miles east of Havana. Named Finca Vigía, which means “lookout house”, it is in the town of San Francisco de Paula, a modest town full of working-class people. Hemingway enjoyed fishing and interacting with the town’s people and was well-respected. The home was built in 1886 by Miguel Pascual y Baguer, a Spanish architect, and Hemingway purchased it in 1940. Hemingway wrote For Whom the Bell Tolls and The Old Man and the Sea during his time at FincaVigía. The Cuban government took ownership of the home and property after Hemingway’s death in 1961. It is on the World Monuments Fund List of 100 Most Endangered sites and the National Trust for Historic Preservation’s 11 Most Endangered Places. Preservation work is now taking place on the home after years of neglect. Gran Teatro de La Habana (the Grand Theater of Havana) was inaugurated in 1838 and at the time was called the Grand Theater of Heel. The interior and the exterior were eventually remodeled to its current look. It has also been known as the Grand National Theater, the Estrada Palma Theater, and the Garcia Lorca Theater. 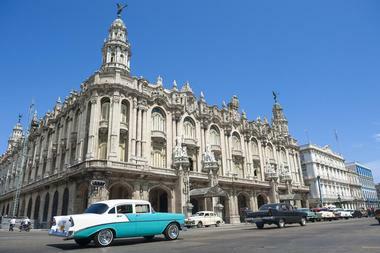 Today, many notable figures and companies perform there, and the International Ballet Festival of Havana has been held there since 1960. 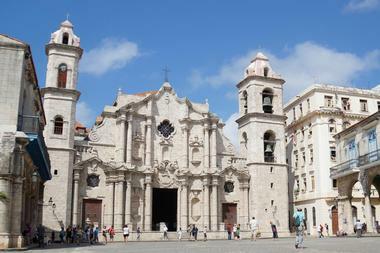 Considered to be one of the finest examples of baroque architecture in Cuba, Havana Cathedral in Old Havana is constructed mostly of ancient coral, taken from the ocean floor. You can see marine fossils in the façade that are now preserved. Visitors will find several paintings and frescoes in the cathedral. Many are actually copies of works that can be found throughout Rome’s cathedrals and museums. The hotel was built in 1930 and was constructed on top of the 18th-century Santa Clara Battery site. It was operated by Americans until 1959, when the Cuba Revolution took place. There is a nuclear bunker there that dates back to 1962, when it served as Fidel Castro’s headquarters for aerial defense. 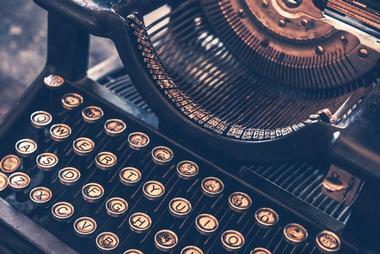 It has a long history of serving glamorous guests and celebrities from all walks of life. Previous guests include Mickey Mantle, Naomi Campbell, and Ernest Hemingway. In 1946, the hotel played host to the Cosa Nostra mob families. This would later be dramatized in The Godfather: Part II. La Cabana was built after British forces captured Havana. At that time, it was named San Carlos de la Cabana for King Carlos III. It was designed by Silvestre Abarca, who was an army engineer, and so its military defensive concepts were advanced for the 18th century. It was used as a prison during the wars of independence. Prisoners died in front of firing squads in the pits of La Cabana, and during the 20th century, it was used as a storage facility. Ernesto “Che” Guevara also established his command headquarters there after the conclusion of the Revolution of 1959. Los Jardines de la Tropical was built by the Herrera family in 1912. The Herrera family also owned La Tropical Brewery, which stood on the outskirts of Havana. Some of the best-known orchestras and members of high society of the time were regulars there. Back then, waterfalls and gazeboes could be found throughout the grounds. It also had a small palace and a large ballroom that could support up to 500 couples. Over the years, the structures fell into despair and became overgrown. Malecon was designed by Juan Bautista Antonelli, an Italian engineer, and built by slaves using rocks that were extracted from old moats. It took 30 years before it was fully constructed. One gruesome feature of the structure are the holes in the rear walls, which were used to feed prisoners to the sharks. It is one of the most visited places by tourists and locals and has been photographed and painted many times. It has also appeared in several movies. Visitors will find a number of exhibitions inside. Museo Nacional de Bellas Artes de La Habana Considered to be one of the finest art galleries in the Caribbean, Museo Nacional de Bellas Artes de La Habana (the Bellas Artes) has a comprehensive collection of Cuban art, although the exterior of the building itself is also impressive. Mainly displaying Cuban art, exhibits range from Cuban pop art to international art. There is a Spanish collection that contains canvases by Zurbaran Murillo and Velazquez. Visitors can also look at 2,000-year-old Roman mosaics as well as some Greek pots from 500 BC. Governor General Aubert wanted a new venue for the provincial government in 1909, and so architects Rodolfo Maruri and Paul Belau designed what is now the Museum of the Revolution. Construction cost over 1.5 million pesos at the time. Near the end of 1917, First Lady Mariana Seva became interested in the building and its location, so her husband President Mario Garcia Menocal took possession of it. 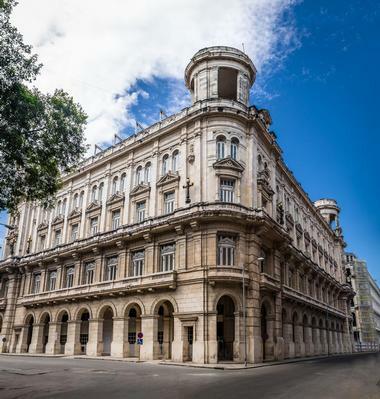 The building was completed in 1920, and housed the Government and the Council of Ministers between 1959 and 1965, before becoming a museum dedicated to the Cuban Revolution in 1974.It was declared a National Monument in 2010. Perfume is something Cubans have a weakness for. Habana 1971, or the Havana Perfume Museum, in Old Havana showcases a collection of bottles, ingredients, and other historical artifacts relating to perfumes. There is a large collection of French perfumes as well as Cuban perfumes, most of which predate 1960. 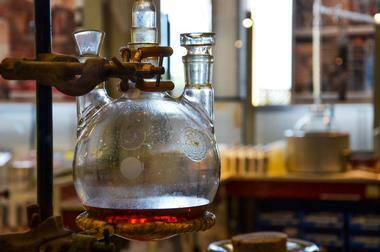 The museum also houses a complete collection of Suchel Fragrencia, which is the state perfume and soap maker. Palacio de los Capitanes Generales (the Governor’s Palace) was built in 1792. It was the headquarters of the Spanish colonial government until 1898, housing 65 Capitanes Generales, and served as the center of the US Military Administration from 1898 to 1902. 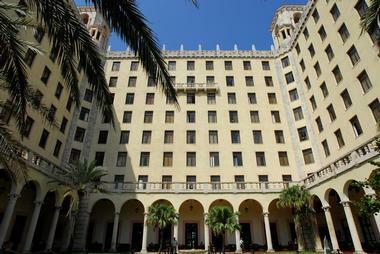 It was the Cuban president’s residence after that and was the city hall between 1920 and 1967. The museum includes the private quarters of the captains general and their families as well as historical exhibitions. 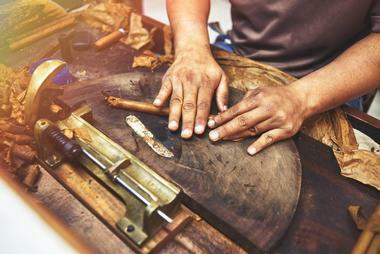 Real Fabrica de Tabacos Partagás is one of Havana’s oldest cigar factories. It is also a very famous landmark and was founded in 1845 by Jaime Partagás. The original construction included a courtyard that was surrounded by an arcade, which was expanded during the 20th century. Real Fabrica de Tabacos Partagas specializes in full-bodied cigars. The factory has been producing fine cigars for over 160 years and around 400 people work in the factory today. Tour groups can walk through the factory, and English-speaking guides are available.